"Are you planning to review John Joseph Brill? ", was a question I received a while back. My answer was "No, this album is so boring". And look, a change of season, perhaps a corresponding mood and a chance clicking on a title I did not recognise. Not that a lot happens on I'm Not Alright, a four song EP, it's that it does speak to me. The music on the EP appeals to those moments I did enjoy that typical 80s music made by bands like The Blue Nile and Talk Talk. Readers of this blog know my thoughts on 80s music in general by now, there were some notable exceptions, some of them even at the time. 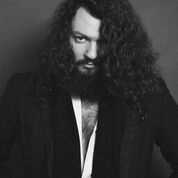 John Joseph Smith makes that sort of serious, electronic music, sung with a dark voice, that does not allow for a lot of expression and a show of emotion. In fact in emotional moments, like in "You were all I wanted", Brill takes his voice down even further, making expression even harder. The fun is in the solo notes of the keyboard that are in a higher register and a synthsound in the background playing long held chords or notes. Describing them as playful is almost possible. I'm not alright is quite some title. When a friend says this to you, you know you are going to have a different evening than expected. A mere acquaintance saying it is close to socially unacceptable. A singer or artist? That's a different story of course. 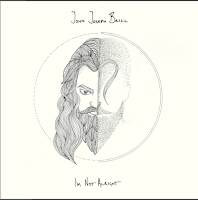 John Joseph Brill's life was in a rot when writing and recording this EP. Hence he asked his friends from Bear's Den to assist him, with Andrew Davie producing. Things do not get much darker than on the single 'A Place To Drown'. "Let me be the water" he sings if the person he sings to would want to kill him of herself. The ultimate sacrifice or the ultimate revenge? A fascinating song, no matter how dark. In a dark, joyless set of songs, it doesn't get darker than this, fortunately. With the Earth spinning fast towards the shortest day an appropriate sort of music. To think the album starts with the sound and chord progression of Klein Orkest's 'Over De Muur', that melancholy musical fest on the Berlin Wall. The lyrics to that song are a joy. Here the mood goes down and down until we know the singer is not alright. The 80s are all over this song, like a tinseltown in the rain. 'I'm Not Alright' has a certain majesty that grabbed my attention the second time around, allowing me into the album. Like Julien Baker's dark album 'Turn Out The Lights' this album shuts out the day, joy, fun and everything else to do with enjoying life (even at the barest minimum). Four songs are just about digestible. Hence I could take on another dark record. I'm Not Alright impressed me since I have given it a second chance. A good thing that they exist these kind of chances.